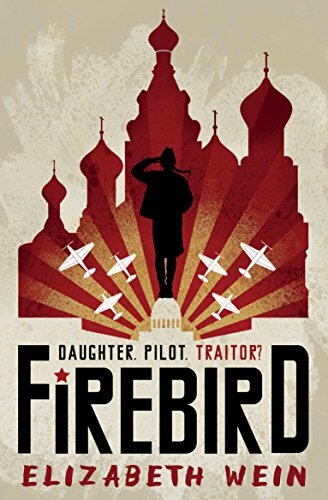 This brief story of a Soviet Union female pilot during the Second World War, by the author of Code Name Verity, covers an aspect of the war not normally covered in young people’s fiction. Anastasia, a daughter of parents truly involved in the Revolution of 1917, which brought the Communists to power, has learnt to fly and desperately wants to be fighting in the war in the air against the Germans who are approaching her home city of Leningrad. The young men are taken to fight but Nastia as she is known remains behind with the Chief, to teach the pilots to come. Eventually her turn does come, but sadly she fails to save the Chief when landing behind enemy lines, which it seems from the beginning of the story, leads to her being court martialled. What emerges from this account is the strong belief Nastia has in her nation and its Communist belief, the Motherland. This and its setting makes it different from many other was stories, and also the fact that not many women fought in the air. There are vivid descriptions of aerial combat and also of the appalling siege of Leningrad in which she loses both parents quite horrifically. Hopefully this story will lead young people to read more lengthy accounts of the war in the Soviet Union and particularly of the Siege of Leningrad, maybe to the novels of Helen Dunmore, who captures it so brilliantly.